Two docks in Amsterdam take on new life as a suburban-style housing project, pick up an award for urban design, and get star billing at an exhibition at Harvard Design School. Urban waterfronts everywhere are being revived, and architects and city planners are paying attention to who’s doing what where. Now, anyone visiting Boston over the next two months can see an exciting example of what Amsterdam has to offer. Beginning Monday, November 25, the Harvard Design School is presenting the exhibition 30 – 50% Void: Borneo Sporenburg Residential Waterfront, Amsterdam. Designed by Adriaan Geuze and his Rotterdam-based firm, West 8 Urban Design & Landscape Architecture, the project involved the transformation of two expansive docks on Amsterdam’s eastern waterfront into residential neighborhoods that have become a striking waterfront landmark. 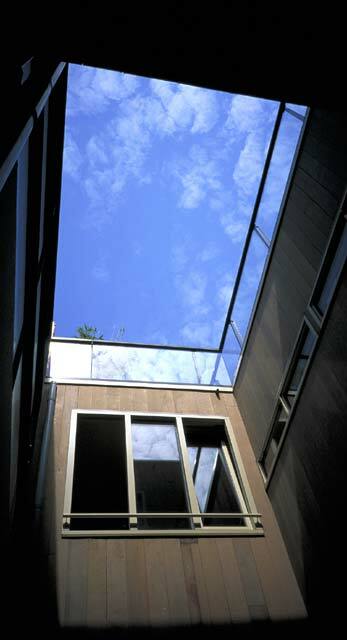 On Wednesday, December 4, 2002, Harvard Design School Dean Peter G. Rowe and Rodolfo Machado, Professor in Practice of Architecture and Urban Design, will present Geuze with the seventh Veronica Rudge Green Prize in Urban Design for the innovative design of the Borneo Sporenburg housing project. The public program will also feature a lecture by Geuze. The exhibition, which runs through January 12, 2003 in Harvard’s Gund Hall Gallery, charts the evolution of Borneo Sporenburg through plans, drawings, models, and photographs. The Green Prize is awarded every two years to recognize excellence in urban design with an emphasis on projects that contribute to the public realm of a city and improve the quality of urban life. Past recipients include Jorge Mario Jauregui Architects in 2000, Sir Norman Foster (now Lord Foster) and his London-based firm Foster and Partners in 1998; Mexico City in 1996; joint winners Fumihiko Maki and Luigi Snozzi in 1993; the City of Barcelona in 1990; and joint winners Ralph Erskine and Alvaro Siza in 1988. 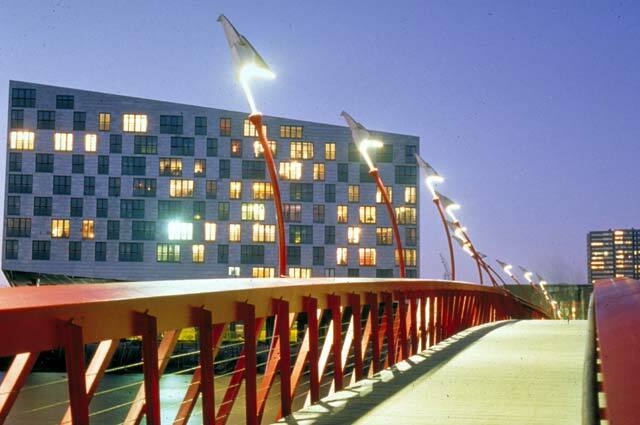 In 1996, West 8 was commissioned to transform Borneo and Sporenburg, two expansive massive docks on Amsterdam’s eastern waterfront, into residential neighborhoods with 2,500 housing units. 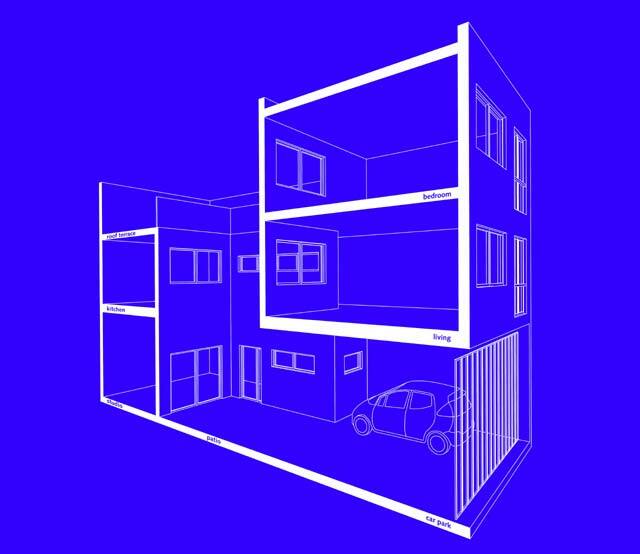 The program called for suburban-style, suburban-style, low-rise housing, each with a front door opening onto the street, to be introduced into a high-density urban setting with 100 units per hectare (roughly 2.5 acres), three times the density of a typical suburban development. These requirements resulted in a design that features a rhythmic interplay of built and unbuilt forms. Drawing upon Dutch architectural heritage, the West 8 plan is inspired by villages on the former Zuiderzee, where small, intimate houses descend toward the water, as well as the sublime relationship between indoor and outdoor space in the paintings of Pieter de Hooch and Vermeer. Low-rise structures are arranged into strict banded blocks and sub-divided into individual parcels, each containing an inside void that comprises 30 to 50 percent of the parcel. More than 100 architects participated in the planning process, developing new housing prototypes that incorporate these voids. The resulting designs include patios, roof gardens, and striking views of the waterfront. The Borneo Sporenburg plan divides the grid of low-rise buildings in three zones with architecturally distinctive high-rise residential buildings, or “sculptural blocks,” which create significant landmarks within the harbor landscape. These sculptural blocks, informally known as the Sphinx, PacMan, and Fountainhead, also contain collective open spaces in the forms of courtyards or gardens. The water surrounding the docks serves as the dominant public space, open to Amsterdam’s boating culture. Committed to creating unique structures within a unified whole, West 8 worked closely with the architects who designed the various structures including O.M.A., Neutelings Riedijk, Mastenbroek, Miralles, van Berkel en Bos, and Mateo. West 8 designed the gardens and other open spaces, as well as such landscape elements as the three sculptural bridges that connect the different neighborhoods on the peninsulas, each sculptural in appearance. Borneo-Sporenburg was completed in 2000. 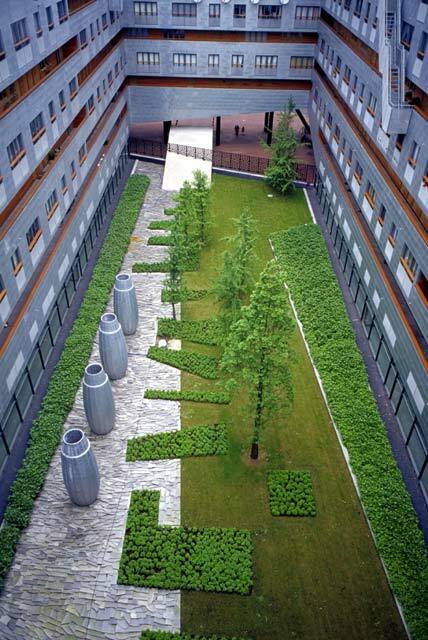 Adriaan Geuze is the director and head designer of West 8, a European leader in landscape and urban design. Geuze founded West 8 on completing his Masters degree in landscape architecture at Wageningen University, Netherlands, in 1987. He has since worked all over Europe, on projects ranging from the redesign of the northern Copenhagen's waterfront Greece’s Thessaloniki’s waterfront to the landscaping of the grounds at Schipol Airport, Netherlands. His recent and current projects include the Schouwburgplein public square, the Swiss National Exhibition (Expo.02) in Yverdon-les-Bains, Erasmian Garden in Rotterdam, and Chiswick Park near central London. 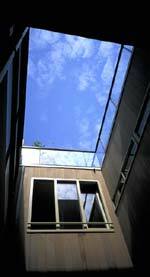 The Veronica Rudge Green Prize in Urban Design was established in 1986 on the occasion of Harvard University’s 350th anniversary, and the 50th anniversary of the Harvard Design School. To be considered for the Prize, projects must be larger in scope than a single building, and have been constructed within the last 10 years. Nominations are submitted by a panel of distinguished critics, academics, and practitioners in the fields of architecture, landscape architecture, and urban design. Prize recipients are presented with a monetary award and certificate. Jury members for the seventh Green Prize were: Preston Scott Cohen, Professor of Architecture, Harvard Design School; Margaret Crawford, Professor of Urban Design and Planning Theory, Harvard Design School; Gary Hilderbrand, Adjunct Associate Professor of Landscape Architecture, Harvard Design School; Mark Robbins, Director of Design, National Endowment for the Arts; and Rodolfo Machado, Professor in Practice of Architecture and Urban Design, Harvard Design School, who served as jury chair. 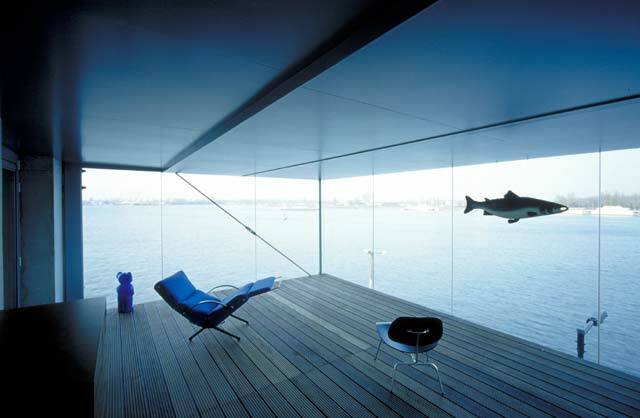 The exhibition, 30 – 50% Void: Borneo Sporenburg Residential Waterfront, Amsterdam, is free and open to the public. For more information about the show or the December 4 award presentation and lecture, call 617-495-4784, or visit the Harvard Design School Web site. 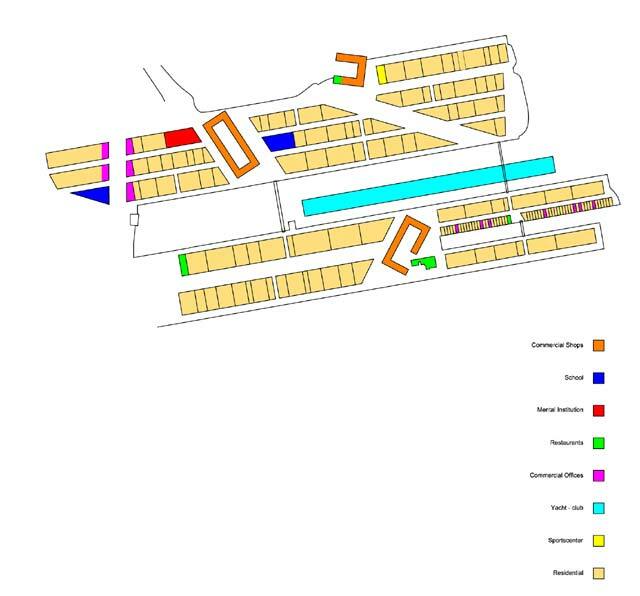 Borneo Sporenburg consists of 2,500 housing units on two docks along Amsterdam's waterfront.